Good. Where winters are mild, seedlings sprout in autumn and survive until spring. Fast growth is encouraged by mixing a balanced organic fertiliser into the soil before planting. Upright larkspur makes an ideal flower to grow behind shorter mound-forming bloomers. Sow larkspur seeds where you want the plants to grow in autumn. 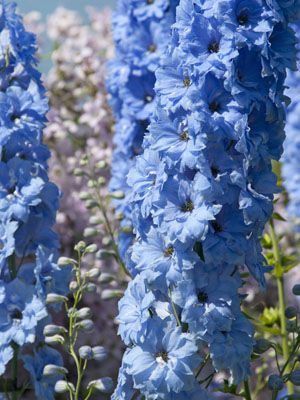 Larkspur can be transplanted with care, but plants grow best from direct-sown seeds. Well-pleased plants can grow quite tall and may need staking. In many areas, larkspur will reseed with a little encouragement. Colours include pink, purple, lavender, white and many bicolours.